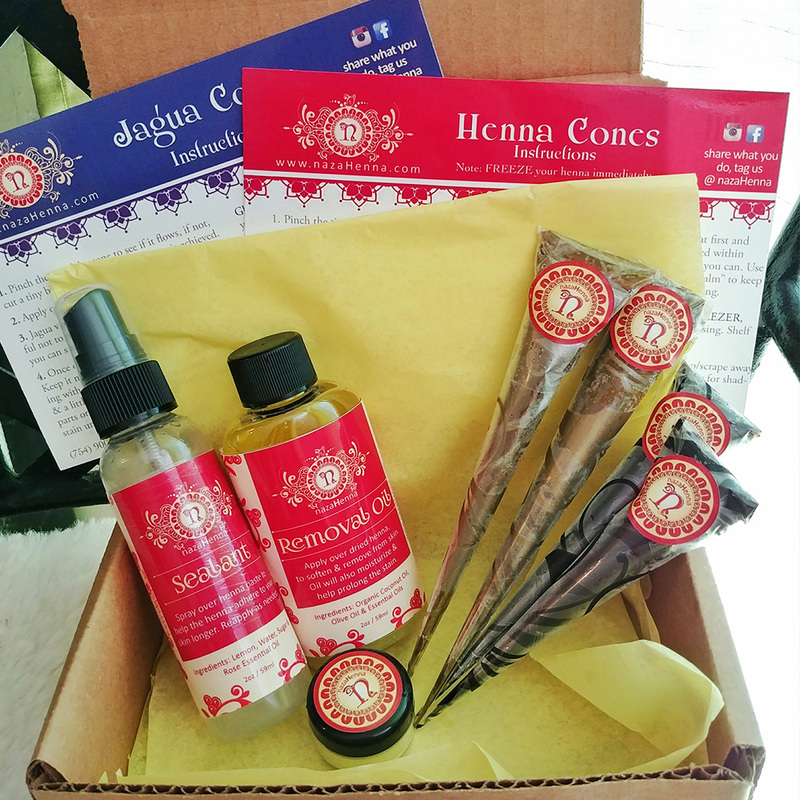 – Henna kit has 2 henna cones: 12-14 grams per cone; Jagua Kit has 2 Jagua cones: 10-12 grams per cone; Combo kit has 2 of each 4 cones total. Shipping: the henna is perishable, please select priority shipping (1-3 days), so the henna does not degrade in shipping, especially during the summer. Flat rate is 3-5 days and you risk the quality of the henna.